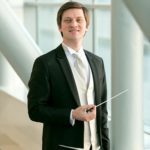 The young conductor Anton Torbeev, who first appeared with the National Philharmonic Orchestra of Russia on September 29 and 30, 2018, (he conducted the “Fairy Tales with Orchestra. Favourites” Concerts with Daniil Spivakovsky), has been accepted by the NPR Management as eligible to join the NPR Conductor-Trainee Group. The Conductor-Trainee Group of the National Philharmonic Orchestra of Russia in its updated edition started its work in January. At the first meeting with the trainees Georgy Ageev, Director of the Orchestra, talked about the principles of concert program formation. A professional-club format envisages classes to be held twice a month under the leadership of Alexander Solovyev. Each meeting will address a specific topic. Thus, on January 29, the role of a conductor in the modern musical art was discussed, and the problem spurred an interesting discussion. The subjects for further meetings include among others “Intonation”, “Tempo”, “Phrasing”, “Structure”, “Form Generation”, “Accompaniment”, “Working with a choir”, “Planning a rehearsal”, “Choice of concert programs”. In addition, several sessions will be focussed on analysis and performance of certain musical works. The Year-Finalizing Concert of the Group's members will be given on May 26, 2018, at the Tchaikovsky Concert Hall in the framework of the Moscow Philharmonic Society's new project named "Mom, I am a Music Lover". The program will be based on the public's vote. Just to remind: the NPR's Conductor-Trainee Group was organized in the 2004/2005 Season on the initiative of Georgy Ageev. In 2017, a new competition was announced for the Group's membership, on the result of which Arsenty Tkachenko, Anna Rakitina, Sergei Akimov, Dmitry Matvienko, Arif Dadashev, Pyotr Gladysh and Alexander Humala joined it. On December 5-6, 2017, open rehearsals of six of the seven competitors were held at the Moscow International Performing Arts Center. On December 5-6, 2017, the Moscow International Performing Arts Centre will host the final selection of conductors for the Internship Group of the National Philharmonic Orchestra of Russia. Based on the preliminary selection (video materials and interviews), seven young, but already titled conductors, who won awards at international competitions and took up positions in well-known orchestras and musical theatres, have reached the finals. They are Russians Arsenti Tkachenko, Anna Rakitina, Sergey Akimov, Arif Dadashev, Pyotr Gladysh and representatives of Belarus Dmitry Matvienko and Alexander Humala. Within two days, trainees will deliver open rehearsals with the Orchestra, then the NPR musicians will vote for the most interesting and compelling maestros. The final decision will be made by the NPR's Artistic Director Vladimir Spivakov, the NPR's director Georgy Ageev (the architect and patron of the Internship Project) and the head of the Internship Group Alexander Soloviev. 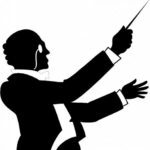 The conductors were asked to choose a musical piece from six masterpieces programmed by the NPR for the current concert season to work on with the Orchestra. Each contestant is given an hour, he chooses the form of rehearsal with the score himself (the whole opus or detailed work on fragments or orchestral parts). The specifics of rehearsals and biographies of the participants are given below. Vladimir Sivakov, the Management and musicians of the National Philharmonic Orchestra of Russia express their profound condolences to the family and the loved ones of Dmitry Hvorostovsky on the untimely demise of the great Russian artist, as well as to all admirers of his outstanding talent. Vladimir Spivakov has decided to dedicate the tomorrow concert of his Festival to the memory of Dmitry Hvorostovsky as a tribute to their friendship and collaboration of long consistency. 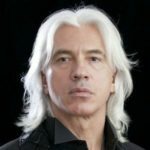 Vladimir Spivakov: "The passing away of such a great personality as Dmitry Hvorostovsky is a huge loss both for the Russian and the world's opera art. This man loved Russia and did everything to make its image sublime. We had been friends of many years and performed together a lot in Russia and abroad. His demise has afflicted with pain the hearts of millions, and the memory of him will last for many years. Tomorrow we shall give an opera concert to his hommage with the National Philharmonic Orchestra of Russia". The program of the concert with the participation of Hibla Gerzmava and Alexey Tatarintsev has been changed. The first Part will feature scenes from operas by Bellini and Donizetti, whereas the second Part will include fragments from operas by Verdi and Puccini (See specifics below). Vladimir Spivakov, the Artistic Director of the National Philharmonic Orchestra of Russia, Georgy Ageev, the Orchestra's Director, and all Orchestra members express deep condolences to the families and friends of those killed during the terrible attack in the St. Petersburg Metro on the 3rd of April, 2017. 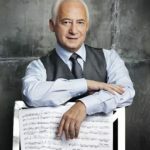 "Petersburg is my most beloved city, " - says Vladimir Spivakov. 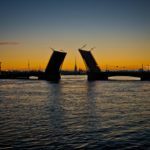 - "As Anna Akhmatova wrote 'It was my blessed cradle that dark city on the rampant river.' My mother survived through the Siege of Leningrad, I grew up and became a musician here. It is not merely a city, it is a museum, a temple, a city of great culture and eternal traditions. Today we are mourning together with the city, its inhabitants, with everyone who lost families and friends. From all our hearts we wish a soon recovery to those wounded." The 2nd Vladimir Krainev Piano Competition is over. The Awarding Ceremony took place in the Svetlanov Hall of the Moscow International Performing Arts Center. The winners of the Competition are Jang Hung Choe, a pianist from the DPRK, in the Junior Group, and Russian Timofey Vladimirov, a pupil of the Central Music School at the Moscow Conservatory (the class of Mira Marchenko), in the Senior Group. After the official part of the Ceremony the winners appeared with the National Philharmonic Orchestra of Russia under Vladimir Spivakov. Jang Hung Choe played the solo part in the Fourth Piano Concerto by Beethoven, while Timofey Vladimirov - in the Second Concerto by Shostakovich. 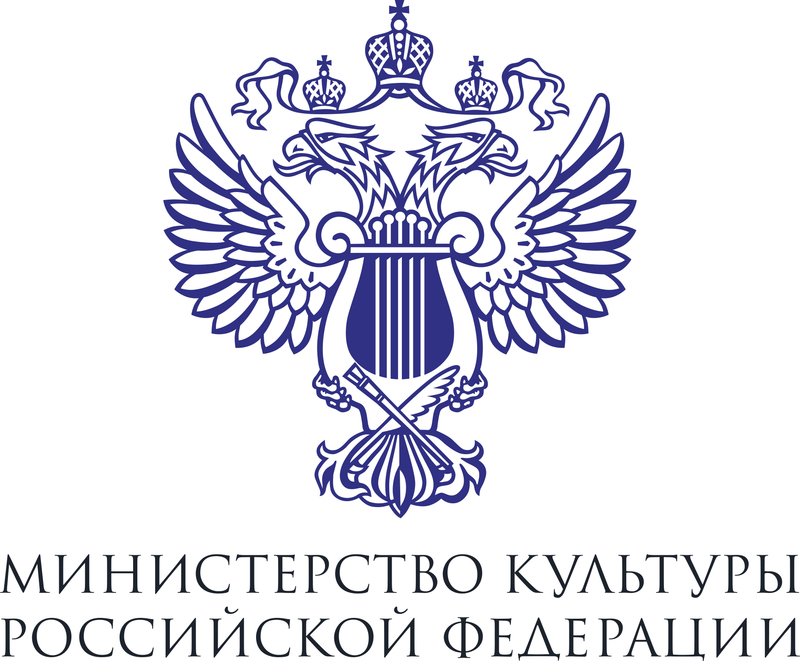 The National Philharmonic Orchestra of Russia also established own prizes for the finalists of the Vladimir Krainev Competition. They were awarded to Timofey Vladimirov, Alexandra Dovgan (the Prize of Promise), Elizaveta Klyuchereva and Dmitry Yudin, who were invited to play in the NPR's future concerts and tours under the baton of Vladimir Spivakov. Alexandra Dovgan also received a special prize from the Vladimir Spivakov International Charity Foundation - an invitation to take part in the Foundation's "Moscow Meets Friends" Jubilee Festival which will be held in 2018. Opening the Awarding Ceremony, Vladimir Spivakov said notably: "There is one function of human memory that unites us all and that is particularly close and dear to all of us. It is the memory of the heart. It is related to both sad and joyful events. I would speak about the joyful ones. We all remember how a child – a boy or a girl – on its still shaky legs makes the first step in life – a step into life.And the competition named after my friend Vladimir Krainev is like a first step into the great world, and this step will never be forgotten. This competition is very important for Moscow, and not only for it. No scandals mar it – everything is honest and clear. Unfortunately, one cannot say this of many competitions. I have been myself the president or a member of the jury, sitting side by side with outstanding musicians, such as Yehudi Menuhin, and I know what a contest is from the inside. I am aware what underwater currents, incomprehensible intrigues and puzzles occur within the jury. Sometimes jury members forget that truth is always audible and visible. As Leo Tolstoy remarked, 'it is just like grass that would grow through stone slabs'. Thus these children obtained a wonderful pass to life – clear, honest and noble. Strictly speaking, Vladimir Krainev was such an artist. " 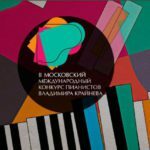 Vladimir Spivakov and the National Philharmonic Orchestra of Russia are glad to present the release of the first disc from the series of albums of Russian music recorded on the eve of the 15th anniversary of the Orchestra. 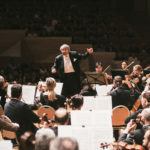 All recordings have been made at the Moscow International Performing Arts Center in 2015-2016 and will be released under Maestro Spivakov's own label Spivakov Sound. German sound engineer and producer Philipp Nedel and his b-sharp studio participate commonly in the recording making. 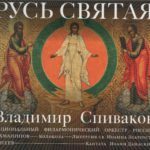 The recently released album entitled "Holy Russia" includes works by Sergei Rachmaninoff ("We praise Thee" from the Liturgy of St. John Chrysostom, "The Bells" Poem on the text by Edgar Poe in the Russian translation of Konstantin Balmont) and Sergei Taneev (Cantata "St. John of Damascus" on the verses by Alexey K. Tolstoy), sung by Hibla Gerzmava (soprano), Dmitry Korchak (tenor), Vasily Ladyuk (baritone), the Academic Grand Choir "Masters of Choral Singing" (Artistic Director - Lev Kontorovich) and the Choir of the V. Popov Academy of Choral Arts (Chief Conductor - Alexei Petrov). Conductor - Vladimir Spivakov. The contents of the disc can be found in the "Audio" Section (see the "Multimedia" Menu) on our website. In addition, Vladimir Spivakov will present the same program "live" at the Great Hall of the Moscow Conservatory on April 24, 2018, as part of the "Musical Peaks" Subscription Series No.59 of the Moscow Philharmonic Society. The CD series will be continued by releases of already recorded music: • Rachmaninoff. All Piano Concertos and "Symphonic Dances" (3 Cds). Soloist - Alexander Romanovsky • Tchaikovsky. Symphony No. 4 and "Italian Capriccio" • Tchaikovsky. Symphony No. 5 and “Romeo and Juliet” • Tchaikovsky. Symphony No. 6 • Tchaikovsky. "Eugene Onegin". Soloists: Hibla Gerzmava (Tatyana), Vasily Ladyuk (Onegin), Dmitry Korchak (Lensky), Yulia Mazurova (Olga), Ekaterina Morozova (Larina), Polina Shamaeva (Nanny), Nikolay Didenko (Gremin), Valery Gilmanov (Zaretsky), Maxim Ostroukhov (Triquet). The Academic Grand Choir "Masters of Choral Singing". In June 2017, Vladimir Spivakov will continue to work with the Orchestra on new recordings of Russian and West European music with the participation of brilliant soloists - rising stars of performing arts. Names and programs will be announced later.